The Buffetts are taking over KAABOO! Savannah Buffett will be sharing the Savvy festival experience with fans as she checks out everything KAABOO has to offer before watching Jimmy take the stage! Follow her adventures @Margaritaville on Instagram and Snapchat! Radio Margaritaville brings you the KAABOO experience-world class music, comedy, cuisine, and more! 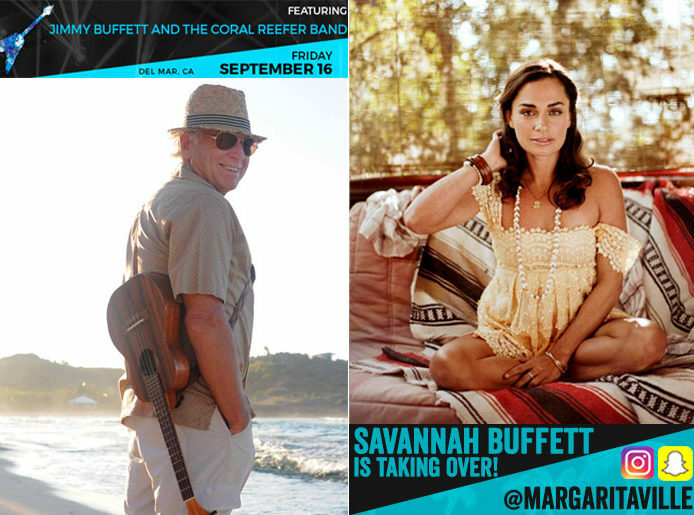 Listen LIVE as Jimmy Buffett’s headlines this unique festival in beautiful Del Mar, California. The pre-concert tailgate party starts Friday at 11pm Eastern/8 Pacific, then Jimmy takes the stage, LIVE from KAABOO only on SiriusXM!